The history of the village and its parish is rich – just like the Royals that once made a cosy home in it. 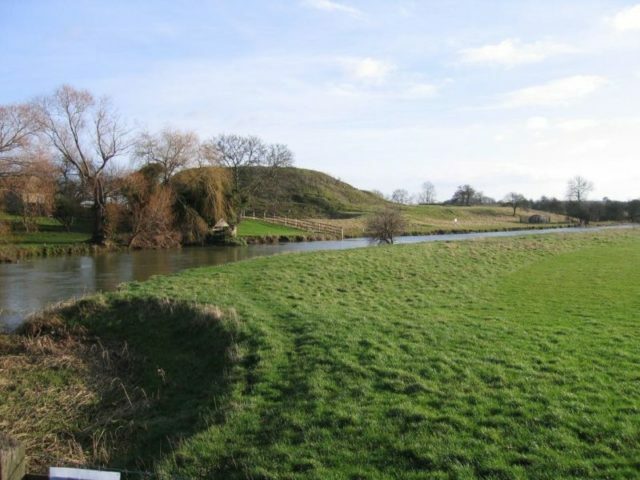 During the years of the Norman Invasion, Fotheringhay belonged to the Waltheof, who was Earl of Northumbria and was part of the Earldom of Huntingdon. This English aristocrat, the last of the Anglo-Saxon earls, took Countess Judith, the niece of William the Conqueror, as his wife. They married in 1070, however their marriage was not to last. Six years later, Waltheof was beheaded for participating in the Revolt of the Earls — betrayed by his own wife. A widow, Judith was then betrothed to another earl: Simon de Senliz. She didn’t like the idea and left the country. But Simon de Senliz was not left empty-handed. Instead, he married Matilda, the eldest daughter of Waltheof and Judith. 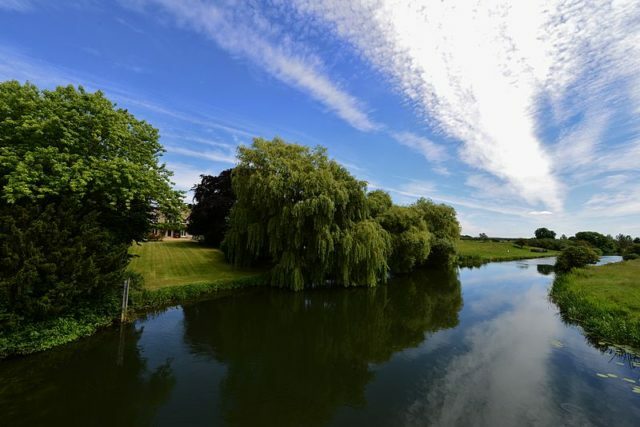 Their home was a fortification named Fotheringhay Castle. 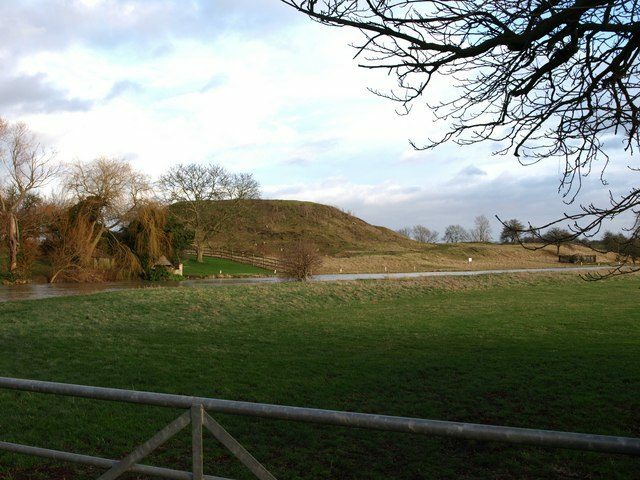 At the very start, the castle was a simple motte-and-bailey fortress – typical of the period – and was erected on the northern banks of the River Nene. It contained a Great Hall and two chapels. There was also a gatehouse with a drawbridge that extended over a ditch filled with water from the river. By 1113, Simon de Senliz had passed away and Matilda was betrothed to Prince David of Scotland. Unlike her mother, she accepted. 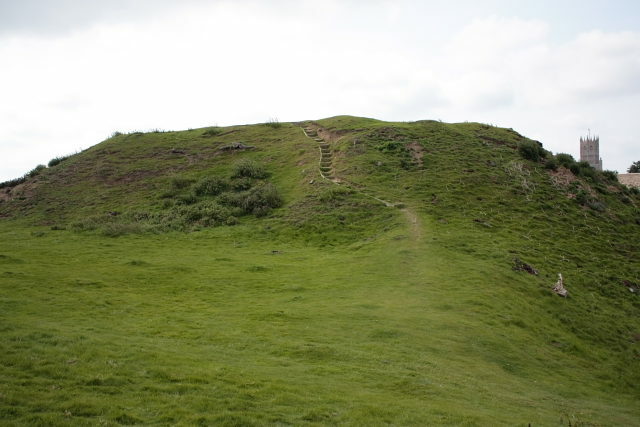 With this marriage, Prince David became the proprietor of Fotheringhay Castle. The castle continued to change hands throughout the years. A major overhaul was carried out by Edmund Langley, Duke of York. 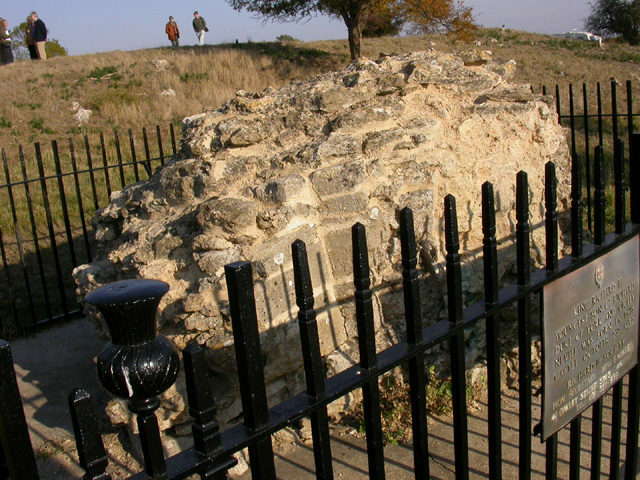 Richard II had gifted the fortification to Edmund in 1377. It continued to change hands but remained an essential part of the Dukedom of York. A major event took place within its walls in 1452: On October 2nd, the castle saw the birth of a baby boy. Thirty years later, the boy was crowned and became Richard III, King of England. Another notable event that took place in the castle involved Mary, Queen of Scots and Elizabeth I of England. It the early hours of October 15, 1586, Queen Mary entered the castle courtroom. With the help of her physician, as years of imprisonment had done their damage and were clearly noticeable in her walk, Mary slowly but with dignity approached the throne that stood in the middle of the room. Mistakenly, she thought that it had been placed there for her. However, the throne was merely a symbol of the absent Queen Elizabeth. Her real place was in the defendant’s seat. Mary was brought in front of the court to be tried for treason. 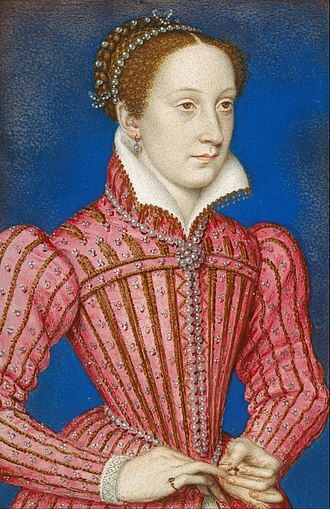 Mary, Queen of Scots by François Clouet. Sir Francis Walsingham was the main prosecutor. Mary was blamed for plotting against Queen Elizabeth in order to take the crown. 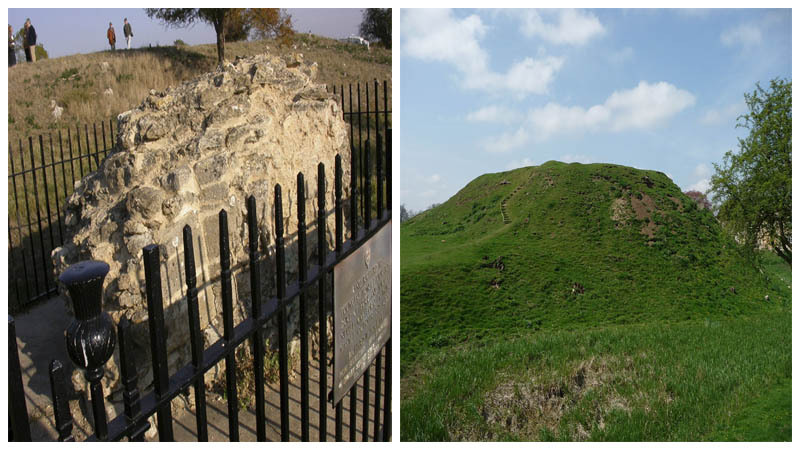 This trial at Fotheringhay Castle was by no means an easy task. The two Queens, Mary and Elizabeth, were cousins. Moreover, Mary ruled over Scotland, and this brought into question the power of the English court to take the life of a foreign head of state. Elizabeth was worried that this action could backfire and create even more enemies. 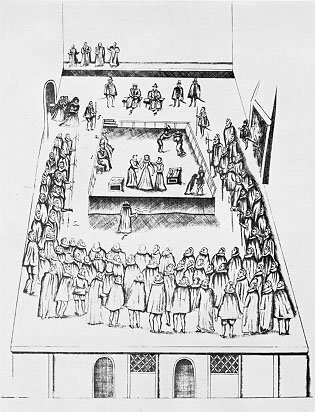 Sketch of the execution of Mary, Queen of Scots. Walsingham, a proven English spymaster, was determined to pursue the matter to the very end. The trial lasted for two whole days, but in the end, Mary was found guilty. On February 8, 1587, she was brought to Fotheringhay Castle’s Great Hall and beheaded. 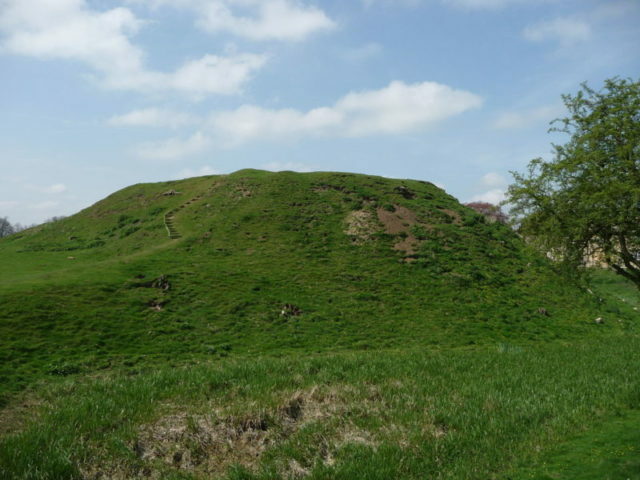 Despite the significance of this magnificent castle, today nothing remains of it apart from old and weathered block of masonry, the earthworks, and a few lumps and bumps in the ground that indicate where grand buildings once stood.